A southern quilting technique from a southern gal taught by her big grandma. 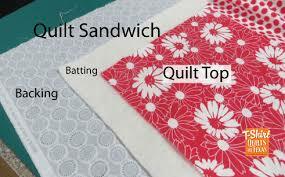 A cheaters quilt teaches you how to put together the backing, the front and the batting at the same time. Any fabric can be used from cotton t-shirts to any fabric on hand – great use for any leftover batting on hand. Depending on the size of the quilt you choose to make, you may be able to finish an entire quilt during this 5 week course. Some sewing experience is required. A supplies list will be sent with the confirmation email.